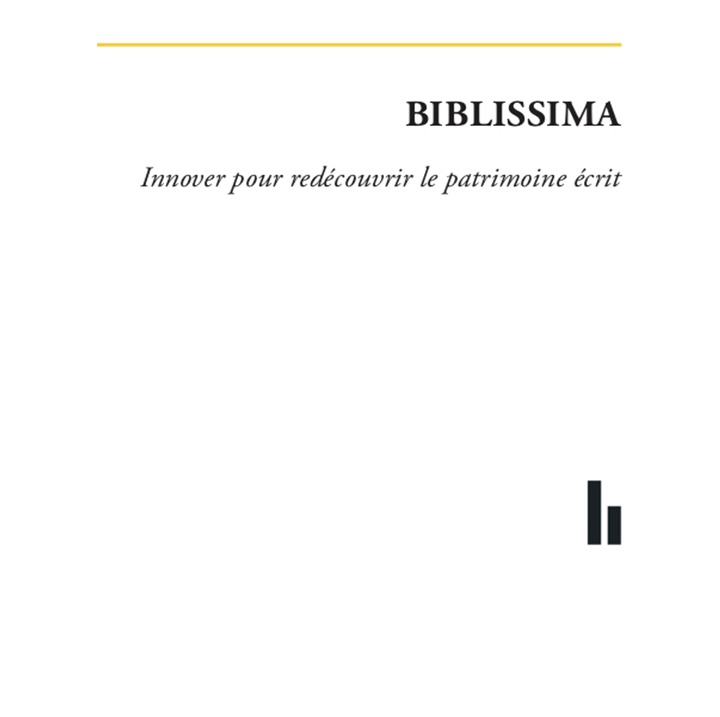 Biblissima — Bibliotheca bibliothecarum novissima — is an observatory for medieval and renaissance written cultural heritage, developed through the French "Investissements d’avenir" programme. Who's involved in Biblissima? Ten founding partners and an ever-expanding community, on a national and international scale. 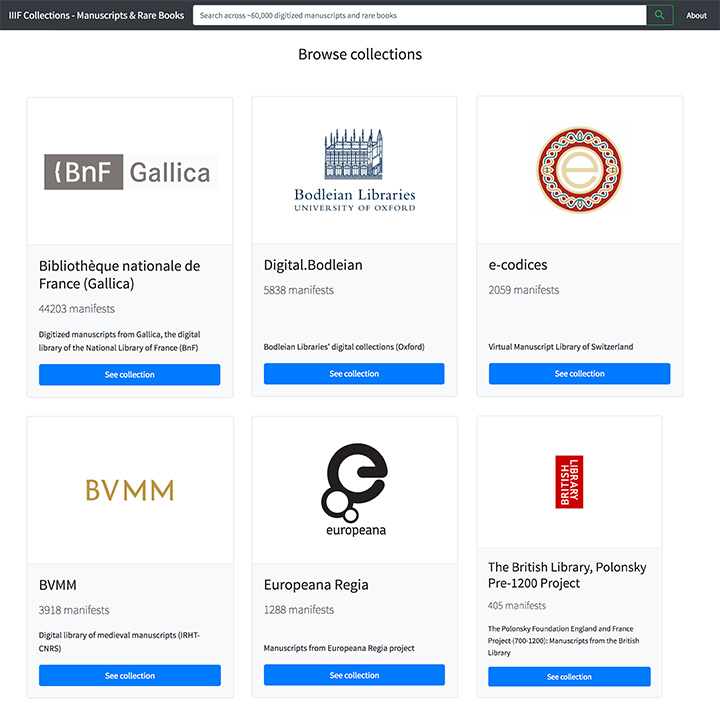 Biblissima brings together over 50 resources on medieval manuscripts, incunabula and early printed books: catalogues, specialised databases, editions, digital libraries, tools. Summer courses are organised within the context of Biblissima's partner projects, by the project's lead institution. Biblissima also occasionally supports and organises other training sessions. Gateway to data of the Written Heritage of the Middle Ages and the Renaissance, from the 8th to the 18th century. The Biblissima booklet gives an overview of the project's achievements, it describes the programmes, training courses and community of Biblissima. 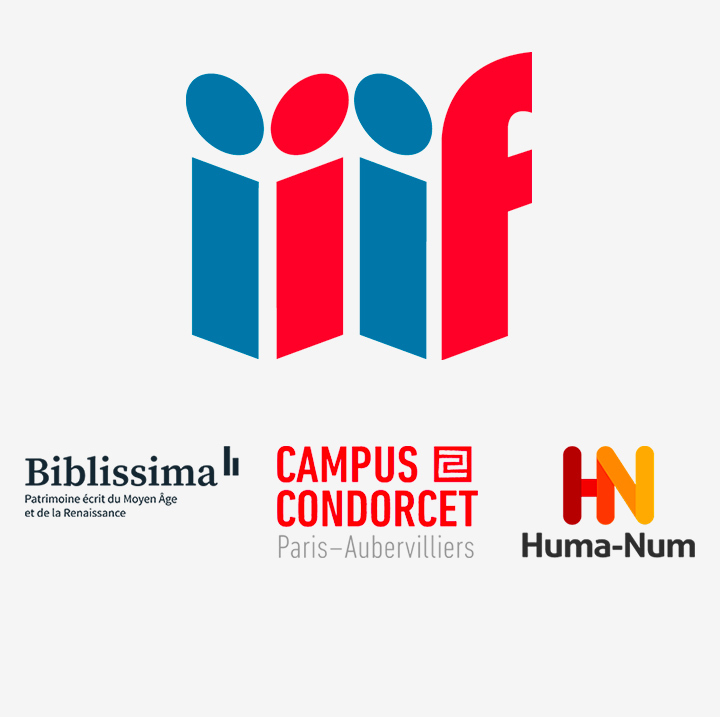 IIIF360 is an expertise service around IIIF protocols, co-operated by Biblissima, the Campus Condorcet and Huma-Num. It offers consulting, hosting and development services. Introduction to the IIIF standards at a training course for library curators at the Enssib, Villeurbanne on January 23, 2019. 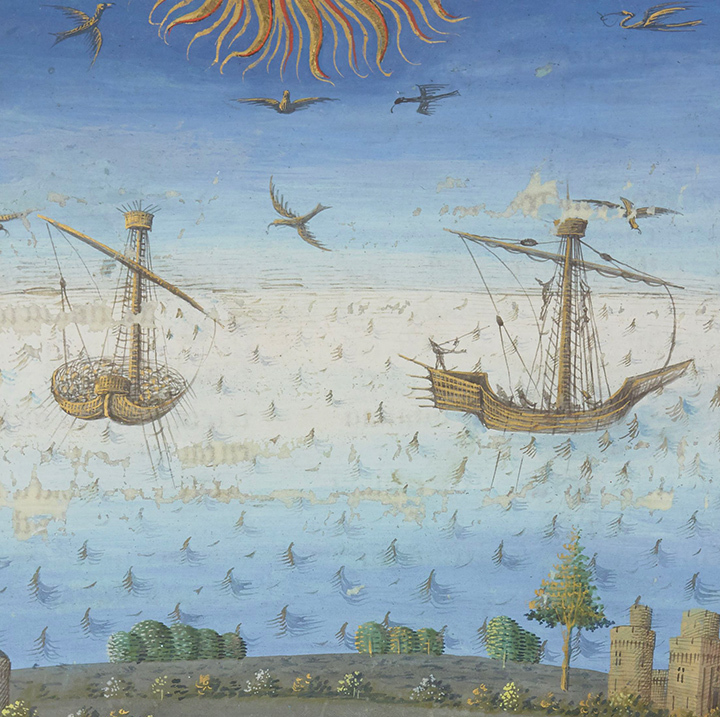 By Régis Robineau (Biblissima - Campus Condorcet, EPHE-PSL). Presentation by Régis Robineau at the "Humanités numériques" day in Poitiers on January 19th, 2019, organized at the Espace Mendès France in partnership with the école doctorale « Humanités » of the universities of Poitiers and Limoges.